Inspect for longitudinal, transverse, oblique, and lamination defects, and measure wall thickness. The system is adaptable and can be configured to suit different types of inspections. To achieve a thorough inspection, each phased array probe must be calibrated. During calibration, the apertures of each probe pass over a known defect, and the probe’s gain level is automatically adjusted. This feature enables users to easily perform and validate a precise calibration of each focal law, saving time without relying on the user’s skill. 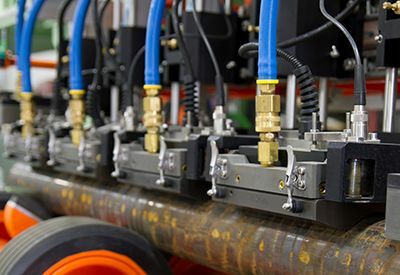 The combination of phased array probes, a powerful acquisition unit, and advanced software work together to deliver a powerful, easy-to-use inspection system. QuickView software makes it easy to setup the system and acquire and manage data. The software’s wizard makes it simple to create setups for each part size. 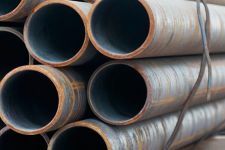 The inspection configuration and calibration parameters for each pipe diameter are saved and easily retrievable. 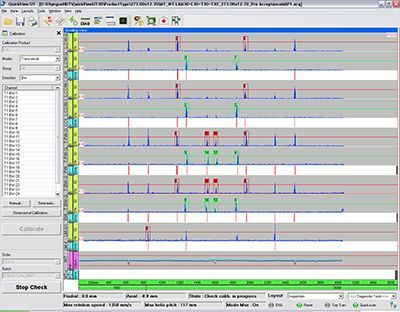 The final results are merged and displayed to clearly differentiate between accepted and rejected tubes. When the inspection is complete, the results are merged and displayed to clearly differentiate between accepted and rejected tubes.